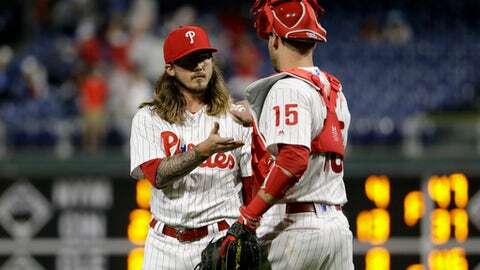 PHILADELPHIA (AP) The Philadelphia Phillies have demoted their only left-handed pitcher, optioning reliever Zac Curtis to Triple-A Lehigh Valley and recalling right-hander Jake Thompson. The move Thursday left the Phillies with 13 right-handed pitchers on the 25-man roster. Philadelphia hasn’t had a left-handed starter since Adam Morgan on Sept. 28, 2016. Morgan, now a reliever, was placed on the 10-day disabled list Monday with a back strain. Curtis allowed two runs and three hits with three walks in two innings Wednesday in the Phillies’ 11-3 win over San Francisco. Thompson has a 7.27 ERA in three big league appearances this season.